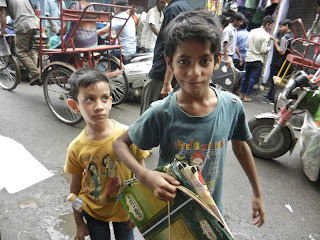 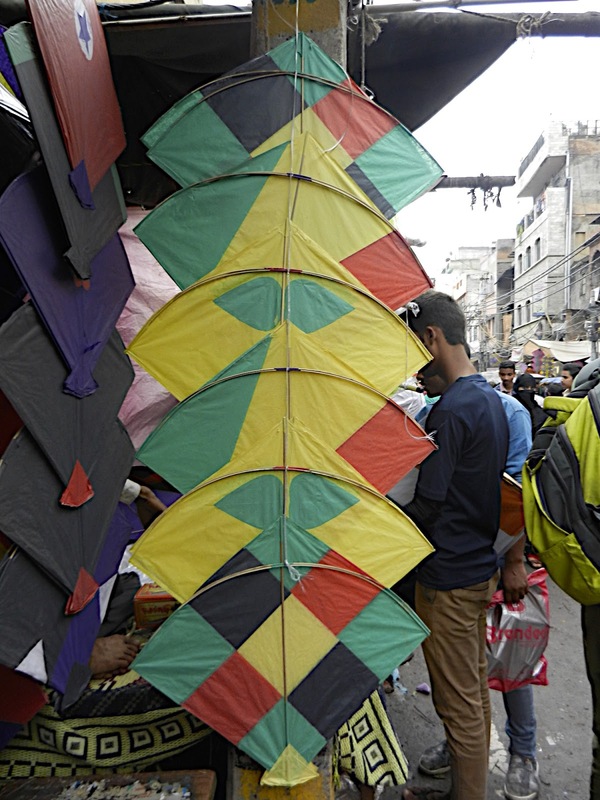 The tradition of kite flying in Delhi and India is strong. 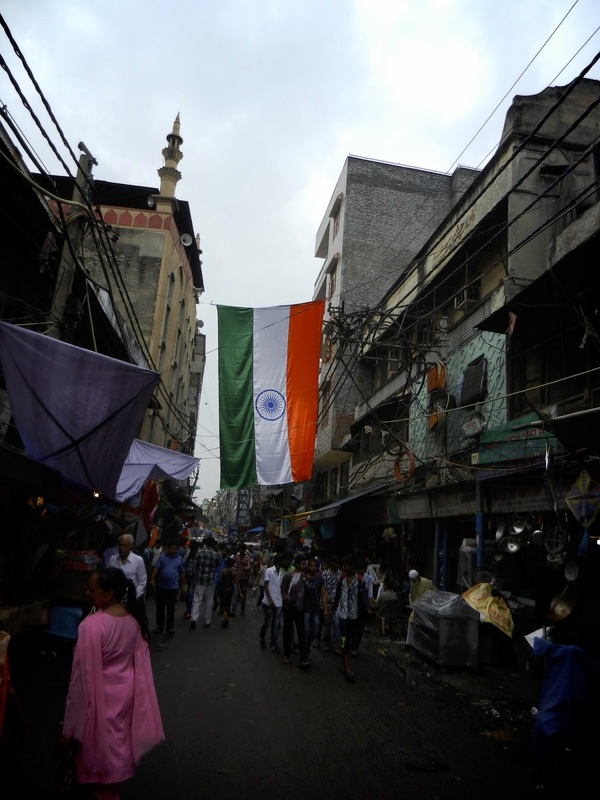 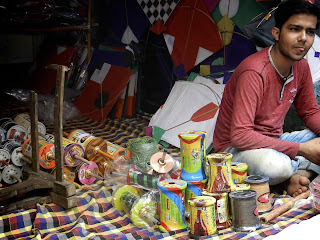 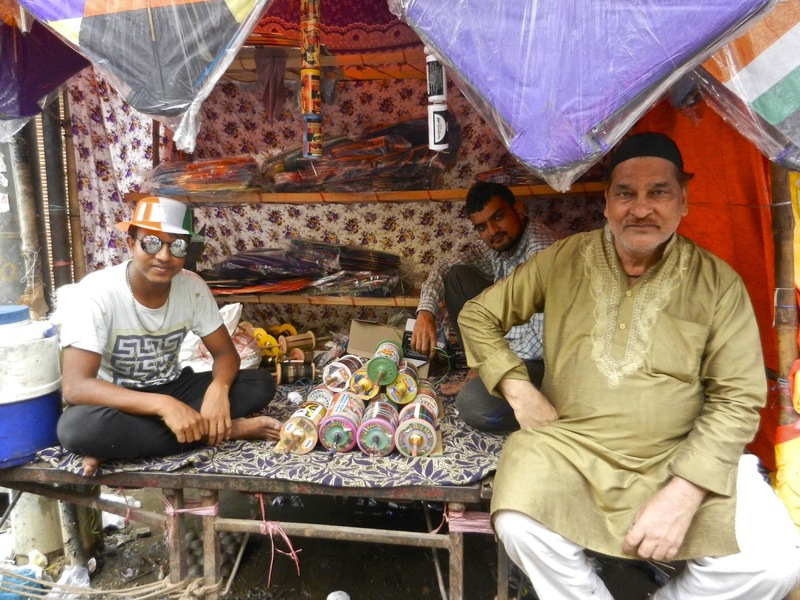 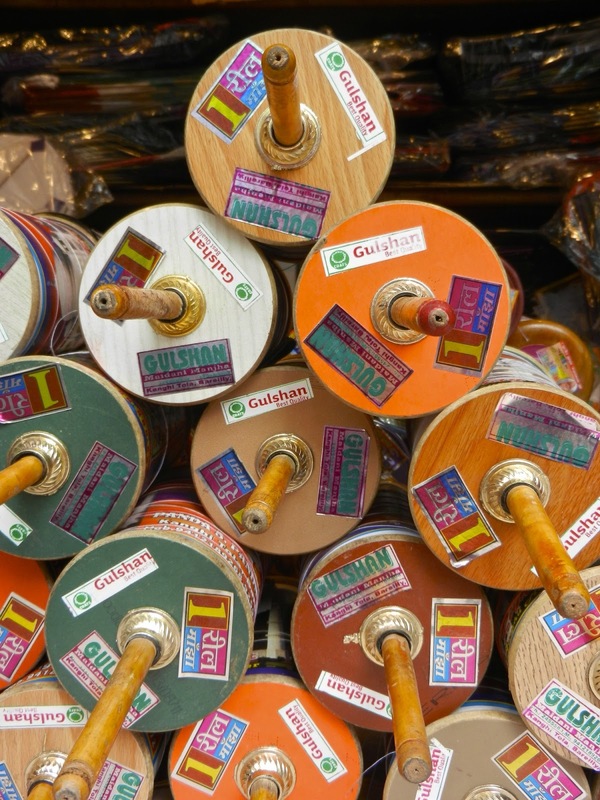 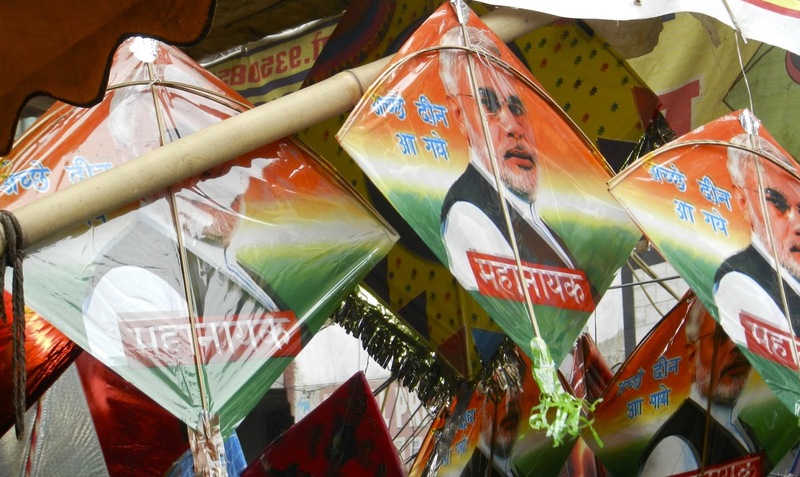 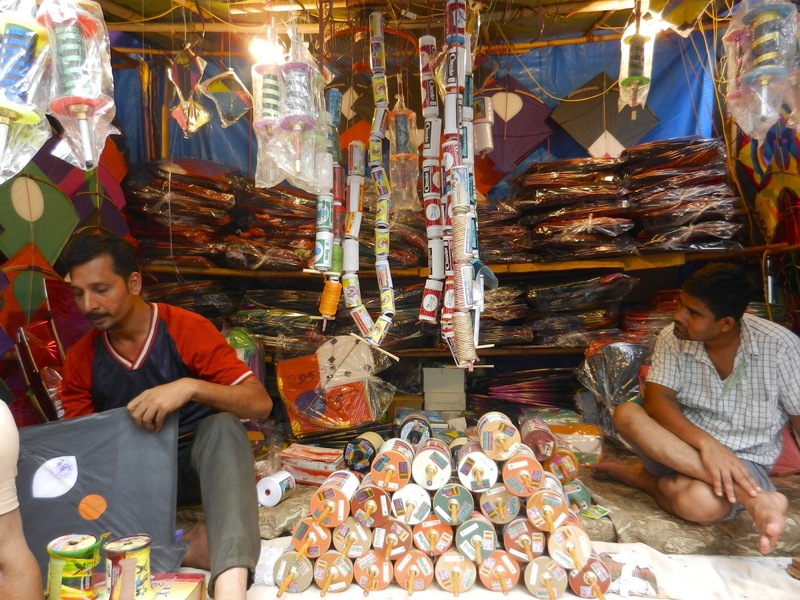 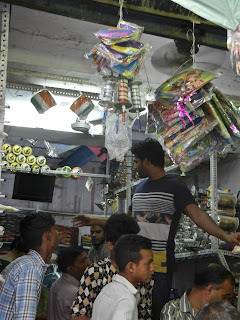 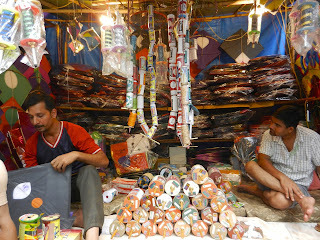 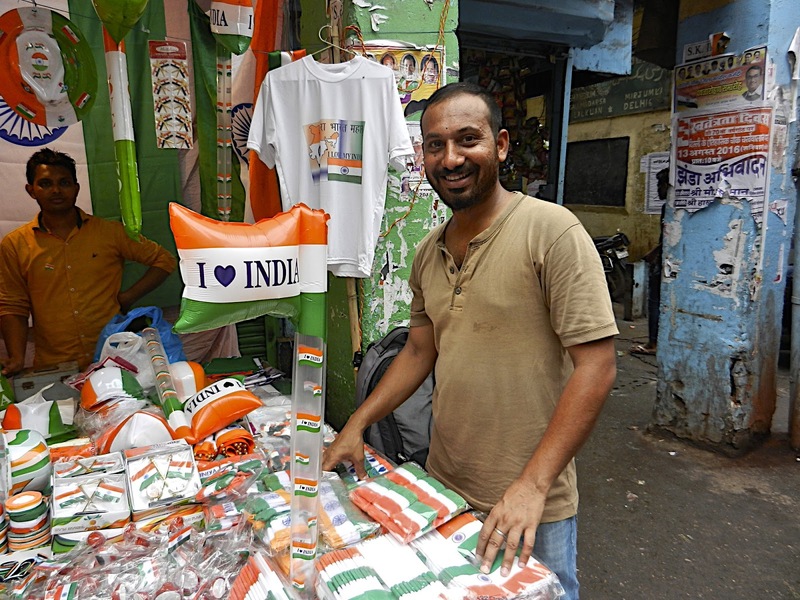 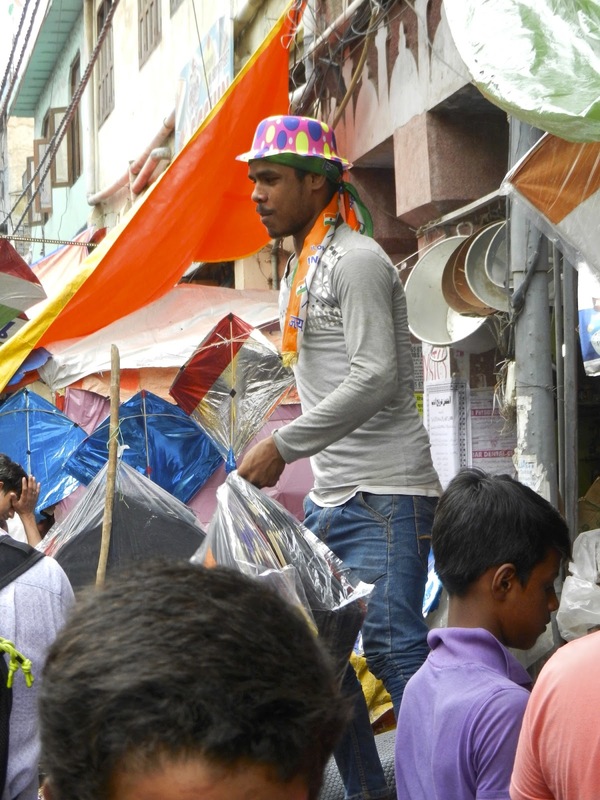 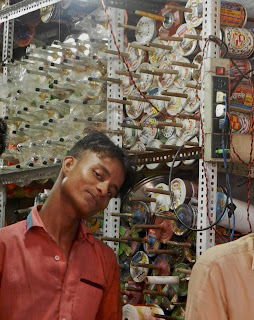 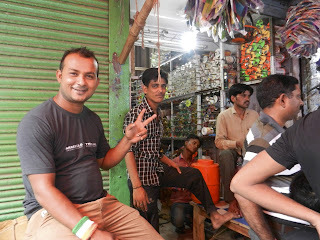 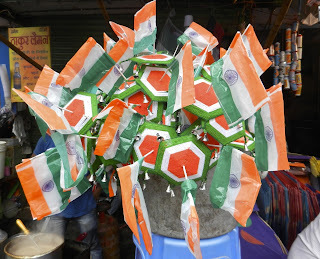 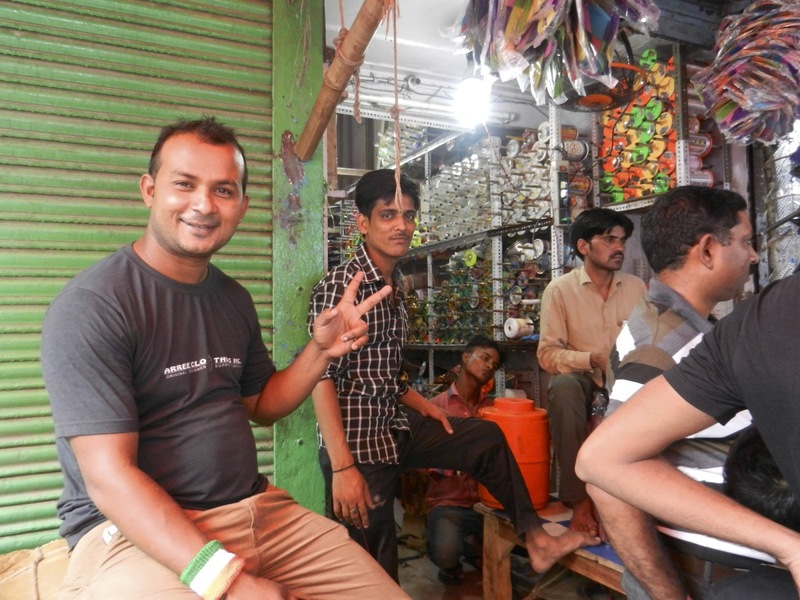 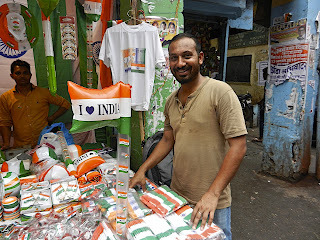 From July until Independence Day on 15th August, you must visit Lal Kuan Patang (kite) Bazaar in old Delhi. 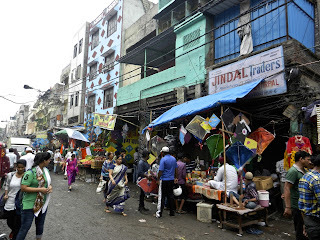 Home to the wholesale kitchenware markets plus famous spice and sweet shops and the kite shops. 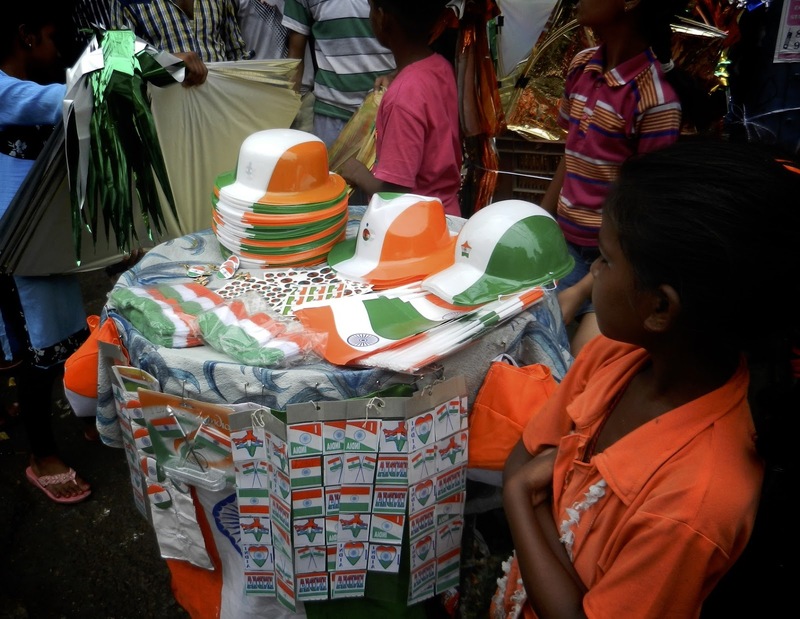 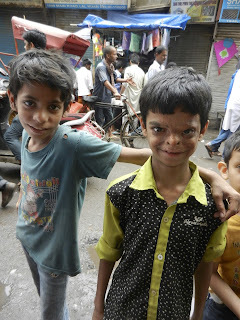 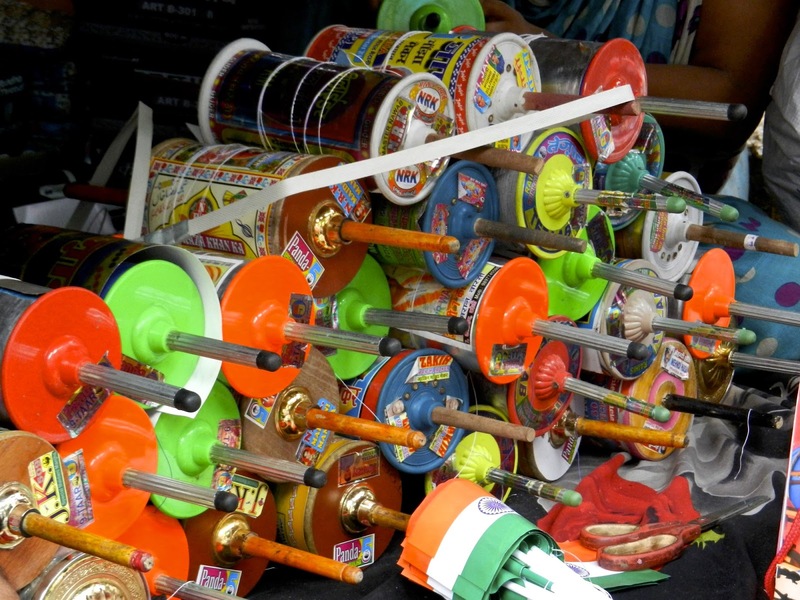 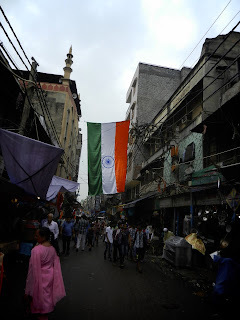 Come the build up to Independence Day though it is now famous for its Patang Bazaar, the roads turn into a riot colour and its total mayhem as the stalls spill out onto the lanes and all go mad to purchase their kites. A couple of days before Independence Day we decided we had to experience this and of course the child in hubby surfaced and he wanted to 'fly his kite' so he had a mission to purchase one... or 2... or....... 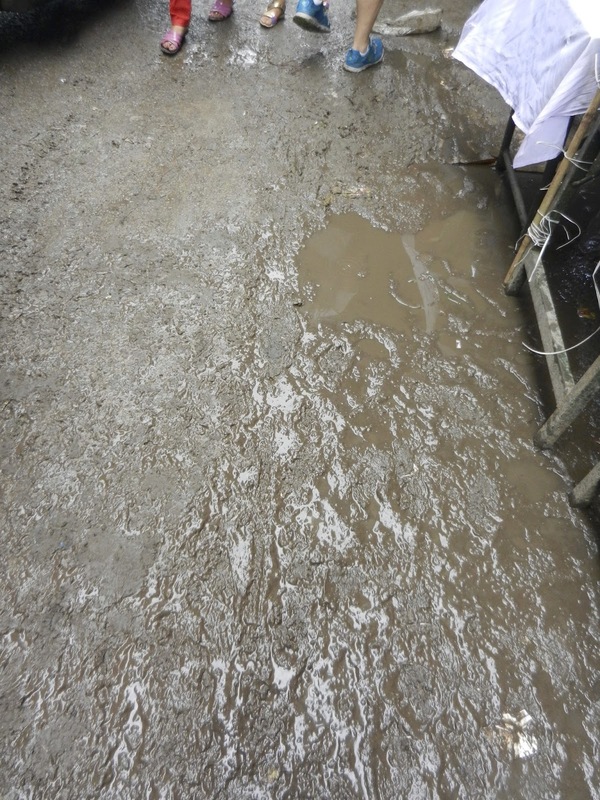 So on a damp, grey day, which was extremely muddy and puddle filled under foot, we squeezed through and jostled amongst the crowds as we visited the stalls. 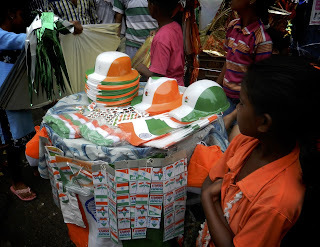 I never knew there was such a choice, such colours, shapes and sizes. 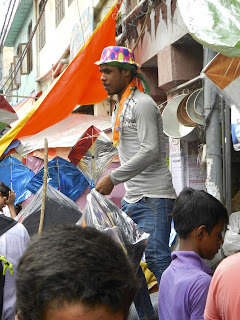 Brightening up the narrow, dull, wet streets it was an onslaught of colour, paper and strings, mixed together with the national colours of India were numerous Indian flags and patriotic 'nicknacks' for the upcoming Public holiday. Throughout August and especially over Independence Day the skies are full of twirling, diving, dancing kites. 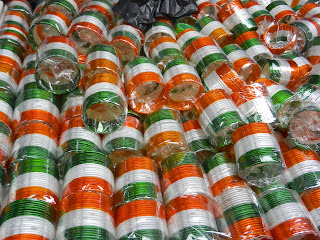 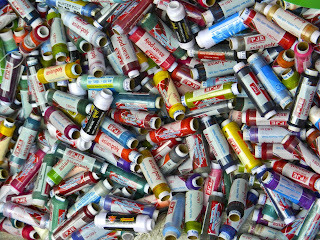 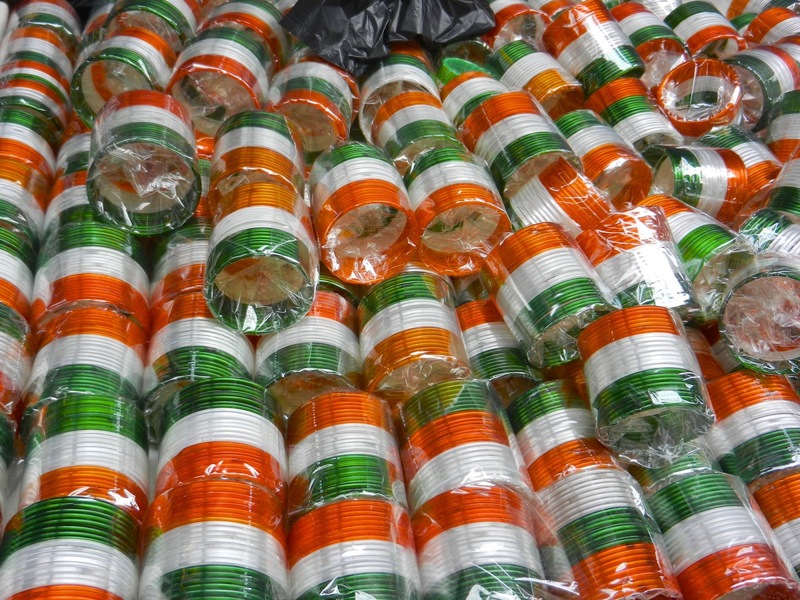 Available from the stalls from just a few rupees up to a couple of 100. 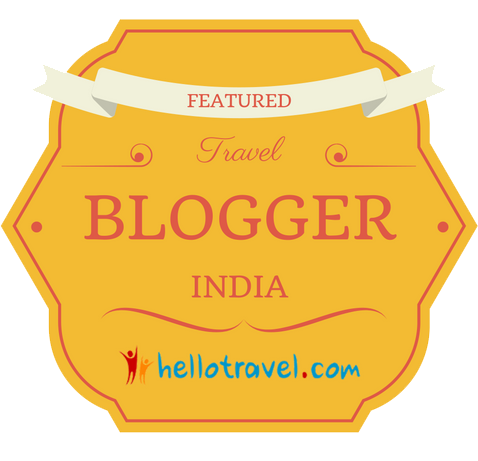 City parks, especially Lodi gardens are full of people enjoining the holiday, picnicing and flying kites. 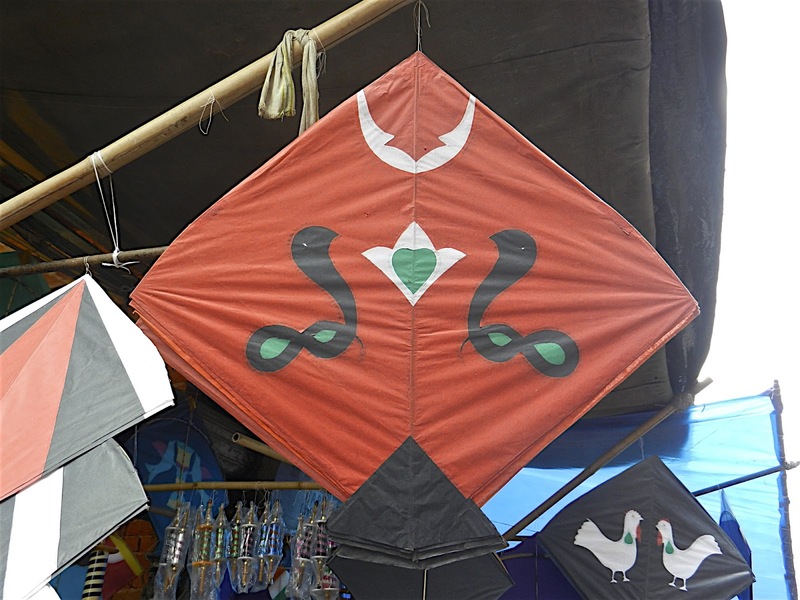 So many in fact you need to watch carefully and duck to avoid the strings and the dive bombing diamonds crashing to the ground! On top of buildings, especially old Delhi, the colonies and slum areas, you'll see children enjoying the innocent pleasure of flying a kite, much better than being plugged into an online game. 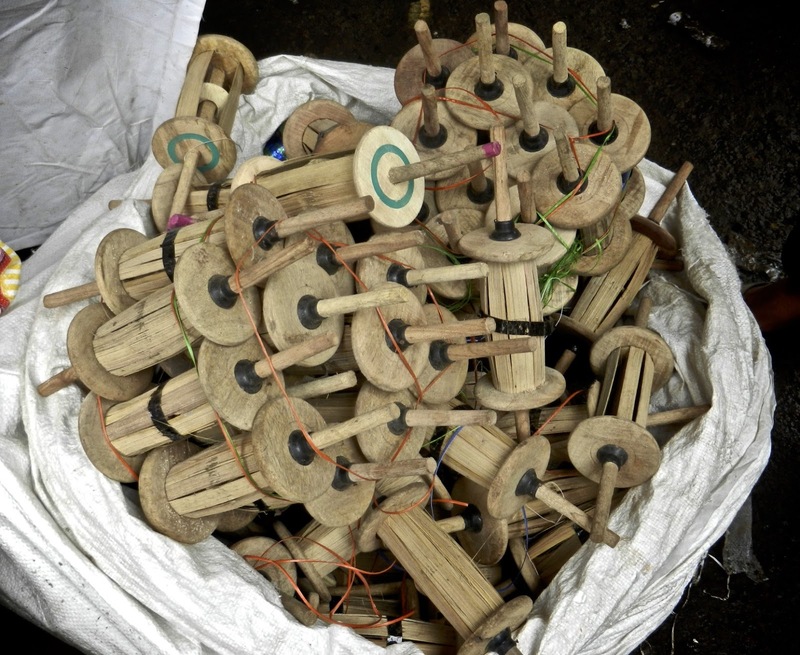 Kite flying competitions/battles take place around 15th August with over 150 kite flying clubs in existence still. 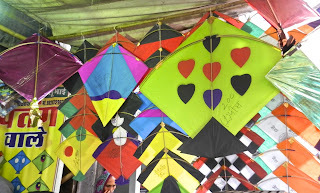 The tradition of 'patangbaazi' or kite flying dates back to ancient times, well over 500 years ago, with images of kite flying on paintings from the Mughul era. 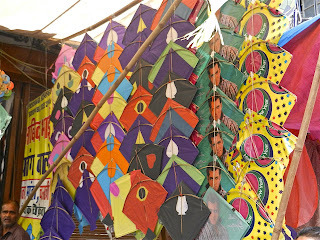 History tells that when the exiled Mughal prince Jahangir returned to Delhi in 1821, hundreds of kites were flown to celebrate his return. In1927, kites were flown to protest against the British in India, with the words 'Go Back Simon' written on the kites, referring to the Simon Commission. 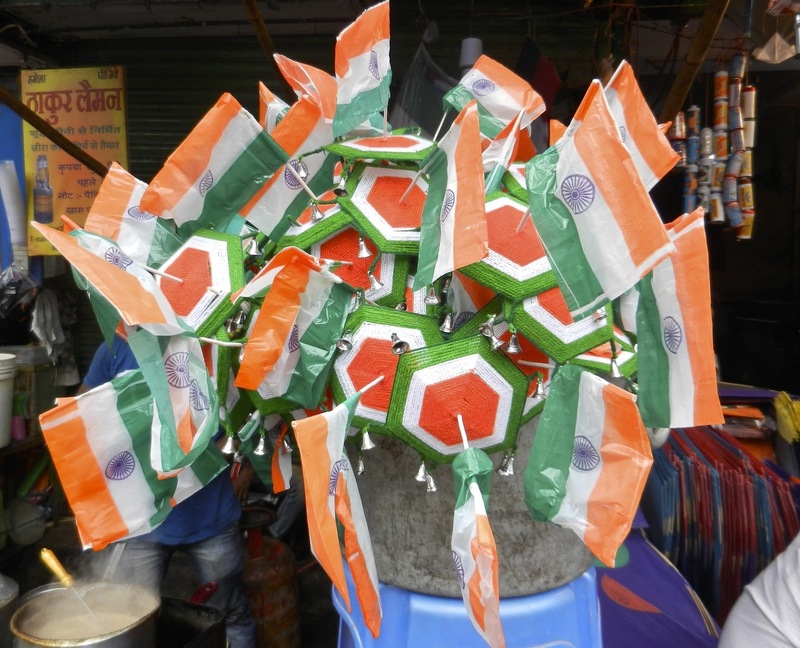 The Simon Commission was a body of 7 British MPs and no Indian members set up to look at the constitutional reforms to India. 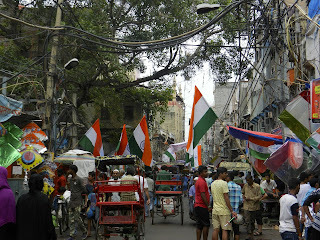 20 years later on 15 August 1947 India was granted independence. Kite flying has remained an important part of these celebrations ever since, although of course you only need to look at the expressions on the young children faces to see that it is pure innocent enjoyment for them .